San Juan Del Sur, once a sleepy little beach town on the Pacific coast of Nicaragua is now one of it’s prime partying destinations. I spent almost a two weeks here, tanning, drinking, dancing and eating basically all the best things in life. 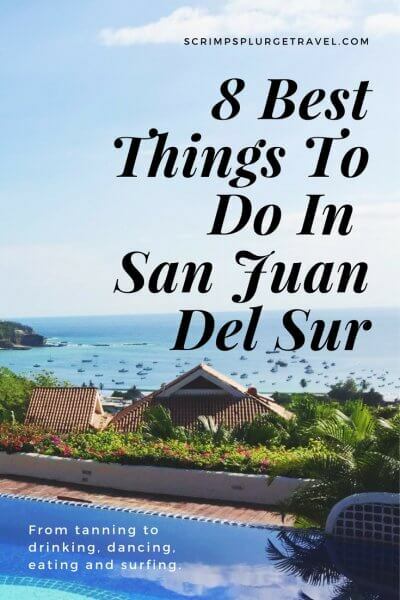 And discovered the 8 best things to do in San Juan Del Sur. These are absolute must-dos before you leave. The impressive Cristo De La Misericordia. 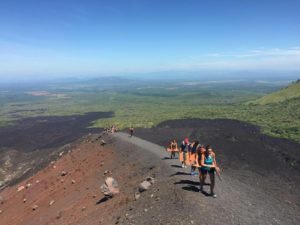 Hiking here is one of the best things to do in San Juan Del Sur. One of my favourite San Juan Del Sur activities. 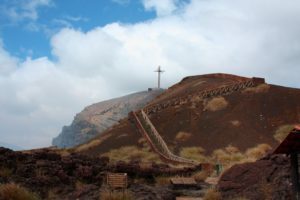 Overlooking the picturesque main beach is the ominous ‘Cristo De La Misericordia’ – the 2nd biggest statue of Jesus in the world. A steep 1.5-hour return hike from the main town, it’s well worth a visit. Entry is $2 US per person and the statue is open to tourists from 8 am to 5 pm. I’d recommend leaving town at about 7 am so you can avoid other tourists and there’s usually little cloud, allowing for the perfect snaps. A little heads-up, the bridge to the road that leads up to the statue collapsed a while ago. If it’s still the case you’ll find a couple of kids with a rowboat attached to a rope to take you across. They’ll try and charge you C$10 for the ride, but it should be C$5 ($.50 USD), so make sure you haggle… Only in Nica!! You can see the Jesus statue San Juan Del Sur from pretty much anywhere in town. It’s to the right of the main beach. From the middle of town head to San Juan Del Sur Beach and walk right all the way along the beach until you hit an inlet. Cross the inlet (as per the instructions above) and walk up the only path that leads off the beach, straight on to a main road – Highway 72. Walk left down this road and you should start seeing signs to ‘Cristo De La Misericordia’. Take the first left you see and then the first right you see. Both turns are pretty quick. 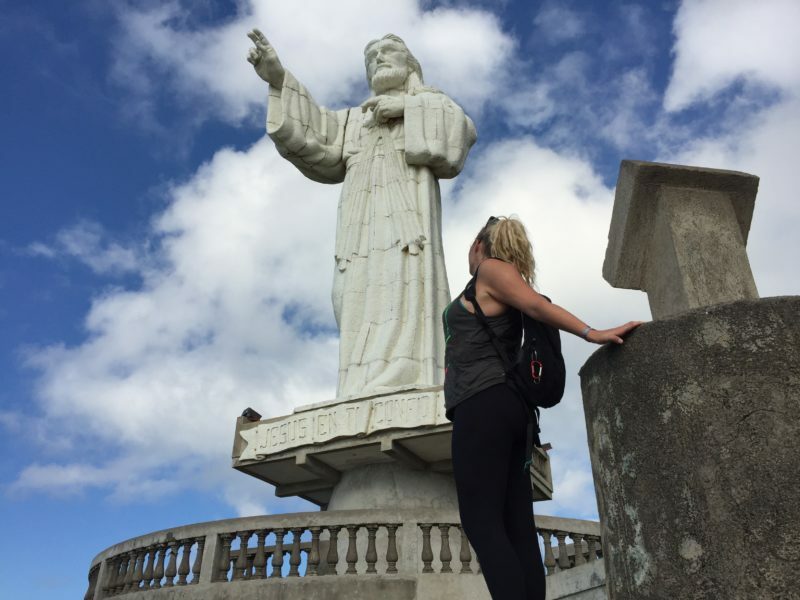 Then you’ll find yourself on the road that takes you all the way up to the San Juan Del Sur Jesus Statue. Quick Facts: Cost: $2.5 | Time needed: 2 hours | Verdict: Must-do. This was one of my favourite things to do in San Juan Del Sur Nicaragua. The stunning view from the pool at the Pelican Eyes Resort. 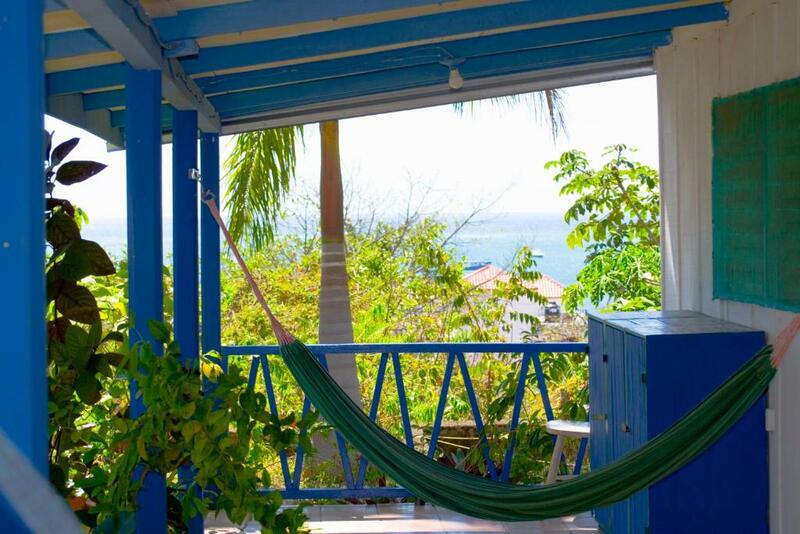 One of the top things to do in San Juan Del Sur Nicaragua. 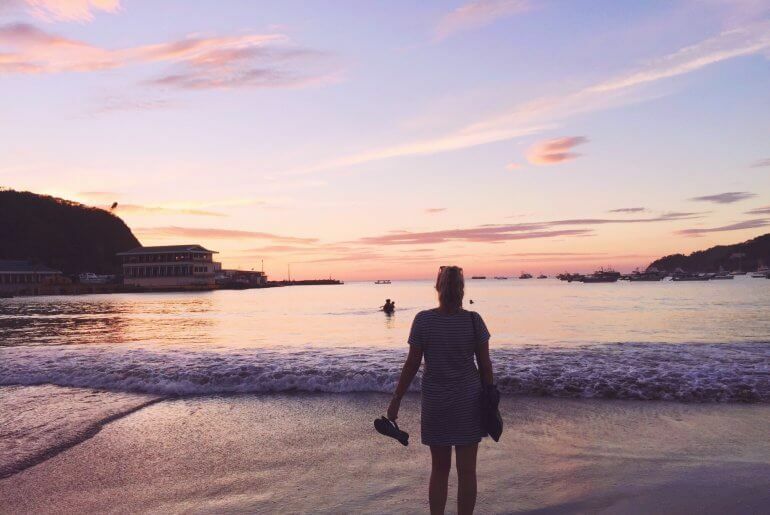 While San Juan Del Sur is a beach town, the beach itself isn’t that good. So, people usually take one of the day trips from San Juan Del Sur to Playa Maderas. But the hostel there, Los Tres Hermanos, has a monopoly charging C$10 for ice and C$25 to use the toilet, plus abysmally rude service. Instead treat yo’self to a day in paradise by the pool at Pelican Eyes Resort. You have a choice of three pools, one near the entry with the main restaurant and then two a 10-minute walk up the hill. The staff are super friendly, so just ask if you get lost. And for the price of a drink, you can spend your day poolside lording it up. So skip the beaches near San Juan Del Sur and live like an expensive resort guest. How To Get To Pelican Eyes Resort: Pelican Eyes Resort is a short walk from the centre of town. You just need to find Avenida Del Parque and walk up it away from the beach, until you see the front gates of the resort. Quick Facts: Cost: $3+ | Time needed: 2 hours+ | Verdict: Worth doing if you’re in need of a chill day and don’t want to visit the San Juan Del Sur Nicaragua beach. Wondering what to do in San Juan Del Sur in the afternoon? Well, have I got a treat for you. Happy Hour at El Timon, one of the best restaurants in San Juan Del Sur runs from 4pm – 6pm Monday to Friday. You can fill up on delicious small plates for $1 USD each. The food is tasty and it’s a total bargain if you spent all your money at Sunday Funday. It’s also right on the beachfront so is the perfect spot to sip a few margs. Delish food for almost free? Hell yeah you know this is one of my favourite things to do in San Juan Del Sur Nicaragua. How to get to El Timon: El Timon is situated right on the beach opposite the end of Av. El Abanil. It’s really easy to find. If you get stuck, walk along the beach and you should see the signage. Quick Facts: Cost: $1+ | Time needed: 2 hours | Verdict: Worth a sneaky afternoon pig out. 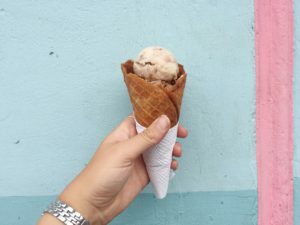 One of the most delish San Juan Del Sur activities. A pub crawl should be on the top of the list of things to do in San Juan Del Sur, Nicaragua’s famous party town. Luckily the Loose Moose San Juan Del Sur, a Canadian pub in town, runs a weekly pub crawl every Tuesday. For those without insider knowledge, it will set you back $10 USD. The crawl kicks off at 9 pm and stops at four San Juan Del Sur bars with a shot at each. And, while this might sound a little stingy, it’s perfectly easy to take the pub crawl without paying a cent. We snuck over to The Loose Moose at 10 pm, skipped the payment and just followed the crawl. We even managed a few free shots… Winning! The San Juan Del Sur nightlife is amongst the best in Central America, so make sure you get involved at least once. How To Get To The Loose Moose San Juan Del Sur: The Loose Moose is situated on Av. Vanderbuilt just near the corner of Av. El Abanil. 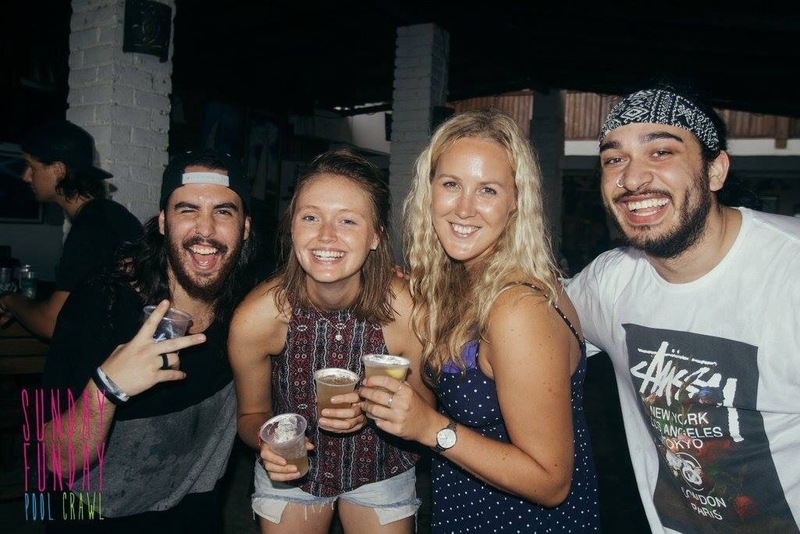 Quick Facts: Cost: Free + drinks | Time needed: 2+ hours | Verdict: Check it out if Sunday Funday wasn’t enough for you and you love the San Juan Del Sur Nicaragua nightlife. The beaches in San Juan Del Sur are great for all levels of surfers, which means there a bit of a surf vibe about the whole town. So it’s no wonder one of the best things to do in San Juan del Sur is surfing lessons. Coconut Surf Shop has got to be my favourite place to learn how to take on the San Juan Del Sur Surf. 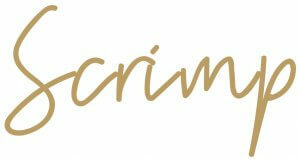 The staff are friendly and knowledgeable and the prices are reasonable. Their 7-day surfing San Juan Del Sur package (including accommodation) starts at $699 USD. And they’ll take you surfing on the best beaches in San Juan Del Sur. Quick Facts: Cost: $699+ | Time needed: One week | Verdict: A great way to learn surfing in San Juan Del Sur. When researching things to do in San Juan Del Sur, I never thought sushi would make the list. However, La Barra, one of the best San Juan Del Sur restaurants changed my mind. La Barra is a tiny 8 seater sushi bar serving up some of the most delicious Japanese treats going around. The menu features items from fresh-fish caught daily to crunchy lobster tempura. We couldn’t get enough of ‘The Bomb Roll’ – fish tempura, cream cheese, spicy mayo and tempura eel – eating two daily. How To Get To La Barra Sushi: La Barra Sushi San Juan Del Sur is located on the corner of Av. Vanderbuilt and Av. El Abanil. Quick Facts: Cost: $5+ | Time needed: 1 hour | Verdict: Must-do. Definitely one of the top San Juan Del Sur Nicaragua restaurants. San Juan Del Sur’s Sunday Funday is hyped as Central America’s biggest pool party. And as you travel around Nicaragua it seems everyone has their own epic story from the battlefield. To be honest, pool hopping with 500 other drunken idiots sounded like my idea of hell. But we sucked it up and joined in on what turned out to be an awesome day. If you stay at either Hostel Pachamama San Juan Del Sur (little or big) or The Naked Tiger San Juan Del Sur you’ll get your Sunday Funday tickets at half price ($15USD). Central America is a fantastic place to learn Spanish, and San Juan Del Sur is no exception. From $5USD an hour for a private lesson, you’ll be fluent in no time. Better still, you can spend your study time sun-baking. There are numerous schools around town, just make sure you barter for a good price. 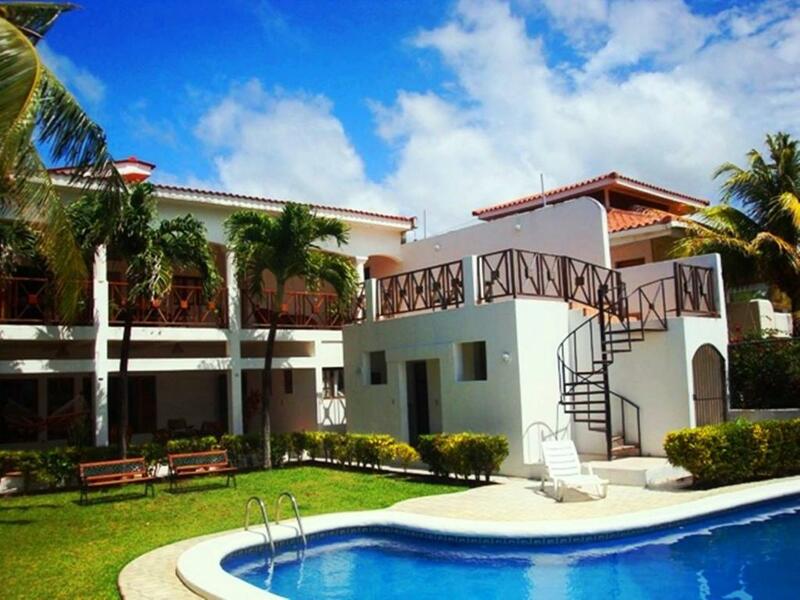 There are a tonne of amazing San Juan Del Sur hotels and San Juan Del Sur hostels. 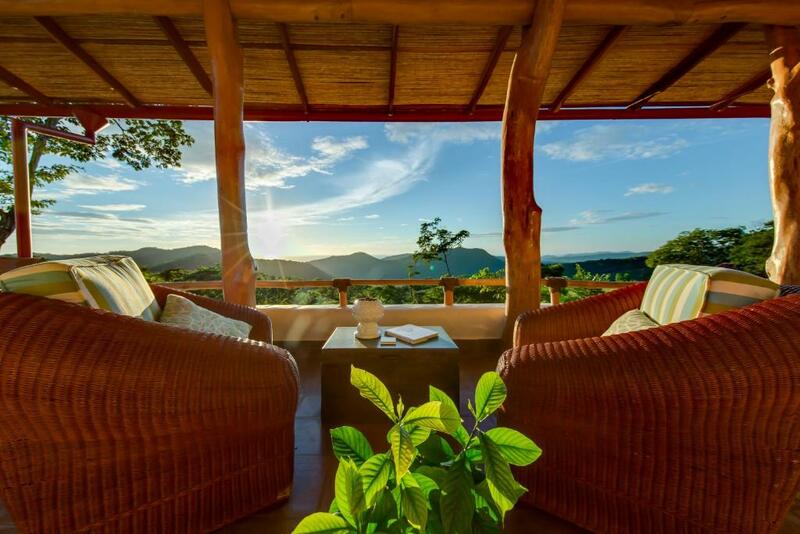 From super luxe to fun party palaces here is my pick of the best San Juan Del Sur accommodation. 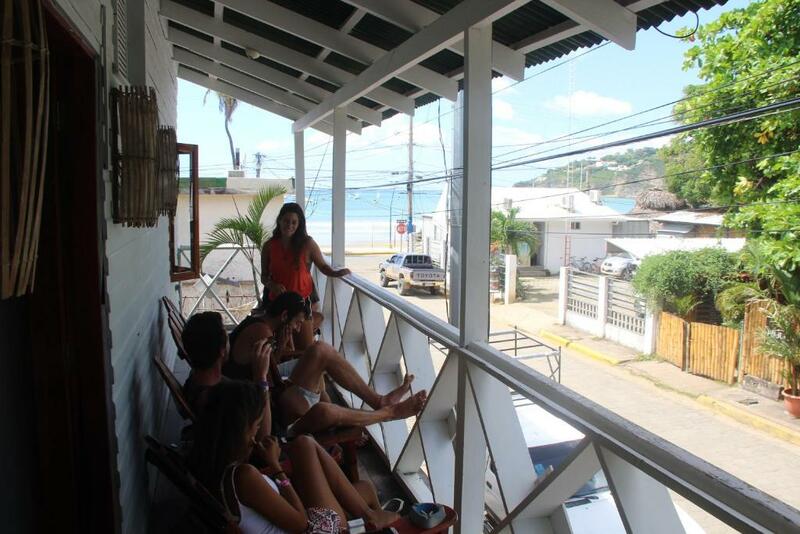 One of the most popular hostels in San Juan Del Sur. This is where Sunday Funday starts. One of the good hostels in San Juan Del Sur that close to the partying but far enough away that you can chill when you want. 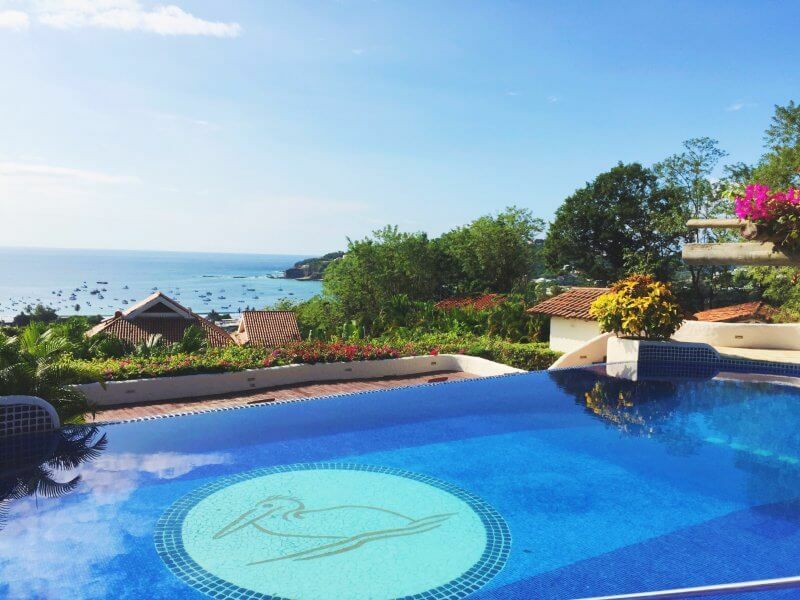 Beautiful villas with an outdoor pool, sun terrace and stunning views.One of the best places to stay in San Juan Del Sur. Getting to San Juan Del Sur is definitely more difficult than other part of Nicaragua. However, here are all the instructions you’ll need. Rivas is the only main town that connects buses to San Juan Del Sur. Therefore all of the below instructions go to Rivas and then you can take the bus from there. There are buses to Rivas from Managua and Granada. So to get to Rivas from any other destination in San Juan Del Sur, you’ll have to take a bus to the closer of these two towns. To get from Managua to San Juan Del Sur head to Mercado Huembes and take any bus heading to Rivas. There is one express every day that runs direct from Managua to San Juan Del Sur. It leaves at 4pm and takes 2.5 hours. To get from Granada to San Juan Del Sur head to the main bus station and take the next bus to Rivas (it will take around 2 hours). 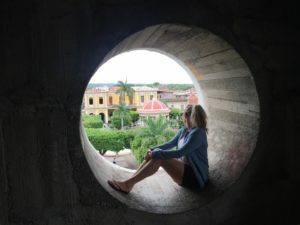 Things to do in San Juan Del Sur definitely aren’t that expensive, so I was able to have a fair few scrimp days while I was here. However, the amount of fun activities available definitely pushes your daily budget up. I would say allow for $35 – $40 USD per day, and then you should be covered. That’s around $10 USD for accommodation, $10 USD for food and then $15 – $20 USD left for activities. All Over The Things To Do In San Juan Del Sur? Check These Out!